But one of the show's stars has already lifted his name into the headlines. 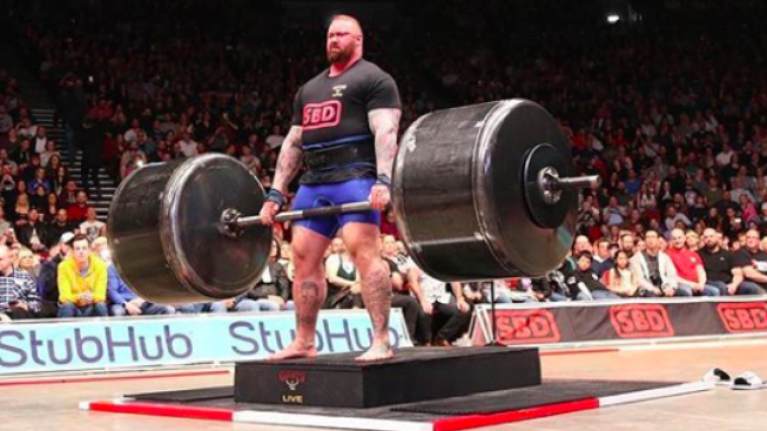 Hafthor Björnsson, who plays The Mountain in the hit series, won Europe's Strongest Man this past weekend. This means Björnsson has now lifted the European title on five occasions. Coupled with last year's triumph at the World's Strongest Man event, Björnsson is truly one one of the world's best. 5x champion. 🏆🏆🏆🏆🏆#EuropesStrongestMan - Thanks to my sponsor @sbdapparel for the awesome highlight video from yesterdays competition! When you look at some of the lifts The Mountain managed to put up, it's clear he's in a class of own. The Icelander managed to smash out 10 reps of a 350kg axle deadlift. He also managed to keep the Giant Pillars of Hercules up for a seriously impressive length of time. The Europe's Strongest Man event also featured special guests, such as powerlifter Larry Wheels. Wheels recently trained with Björnsson back in Iceland and the American also impressed on stage, lifting over 200kg in the log press. The Mountain's diet is designed to fuel these world-record attempts and as such measures in at some 12,000 calories. Speaking about The Mountain's diet, Dr. Oliver Witard said: "A man of The Mountain's size should consume in the region of 70g of protein per meal. Björnsson consumes anywhere from a 50g midnight snack to 150g in the beef in his main meal. "In normal young, healthy adults, 0.4 grams of protein per kilo of bodyweight per meal is sufficient to stimulate the muscle growth response -- the equivalent of a 6oz steak per meal."